Some men are born under a lucky star… others are destined to be one and they have wonderful lives. That is the case of Joan Sebastian, a remarkable, appealing, and inspiring performer who won a place among the greatest icons in Mexican popular music. 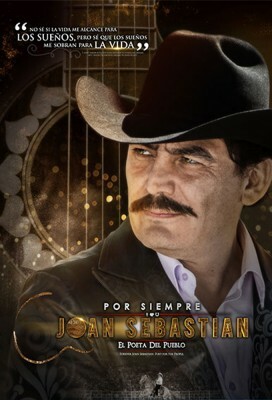 This mini-series follows the life and career of legendary Mexican singer/songwriter Joan Sebastian honoring his accomplishments just a year after his untimely death. Can you post this on justbingeit.pw as well? No that’s not possible, justbingeit.pw is closed and redirects to this site. Are you having difficulties watching here? Well it works on Google Chrome so not anymore. Yes, the server broke and now its saying the video format isn’t supported. Try again now, it should be working, was a cache issue.